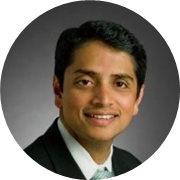 Guru Vasudeva is Senior Vice President and Chief Information Officer (CIO) of Program & Application Services at Nationwide Mutual Insurance, a $27 billion revenue financial services and insurance company. In this role, Guru manages a shared services organization that provides program and project management, application development, and requirements and testing for the enterprise. He is also responsible for the delivery of large and complex programs, Lean and Agile transformation of application development and maintenance functions across Nationwide. Prior to this role, Guru held several senior leadership positions at Nationwide including Enterprise Chief Technology Officer, Business Unit CIO, and Chief Architect. Empowering staff to challenge the standards! · What does a successful change management structure look like? · Change sustainment: How to make it stick? Check out the incredible speaker line-up to see who will be joining Guru.